Based on Douglas A. Blackmon's Pulitzer Prize-winning book, the film illuminates how in the years following the Civil War, insidious new forms of forced labor emerged in the American South, persisting until the onset of World War II. Watch the film with Haitian-Creole (Kreyòl Ayisyen), Portuguese (Português) and Spanish (Español) subtitles. This curriculum includes a media-making focus to facilitate creating audio recordings of personal narratives and engaging in meaningful civil discourse around social justice issues. Learn more about slavery after the Civil War by scrolling through the timeline and map. Points on the map include photos, videos and more information about key dates in United States history. 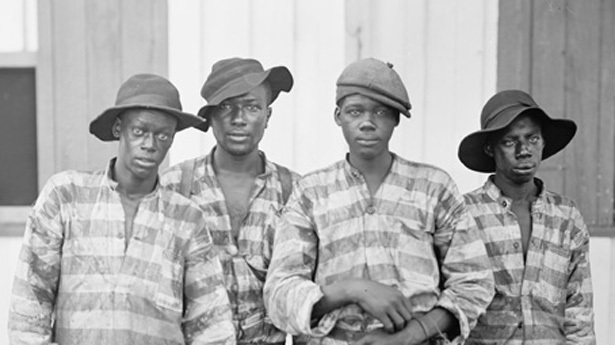 Watch video clips about slavery in America involving various topics that range from Chain Gangs to Sharecropping.